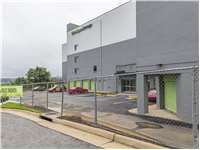 Alexandria, VA Self Storage at 35 S. Dove St. Located on S. Dove St. between Telegraph Rd. and Duke St., Extra Space Storage serves residents of Alexandria, Eisenhower West, Huntington, Rosemont, Old Town, and Westover. Locals will recognize our facility next to Full Metal Jacket, J&H Aitcheson, and M&B Auto Sales off of Duke St. We're also accessible for residents of nearby apartments and condos, such as Mason Gardens Apartments, Fort Ellsworth Condominium, Carydale East Apartments, Longview Terrace Apartments, and Carlyle Towers. A Versatile Storage Facility on S. Dove St. Extra Space Storage in Alexandria offers a wide range of storage unit sizes and excellent amenities like climate-controlled storage and drive-up access. We're the storage solution you can count on! Our S. Dove St. facility offers storage units in sizes 2x4 to 20x25. Whether you need residential, commercial, or vehicle storage, we have a storage unit for you! Not sure which unit size will best fit your needs? Our friendly, professional staff is more than willing to help you determine the correct size! Concerned about keeping temperature-sensitive items in storage? Many customers take advantage of climate control, which keeps out the humidity, heat, and cold by maintaining a temperature between 55°F and 85°F. Climate-controlled units are available in sizes 5x4 to 20x25 at this location. Extra Space Storage on S. Dove St. offers accessible drive-up units in sizes 5x6 to 10x20, making us a great option for anyone who needs to store a motorcycle or compact car, business inventory and equipment, or the contents of a home while moving. Drive-up access allows you to pull a vehicle directly into or up next to your unit to unload and load items. It's the ultimate convenience! When you store with Extra Space Storage in Alexandria, you know you're getting the best. Not only do we have a wide selection of storage units and amenities, but we also maintain a secure, clean facility. If you have any questions, feel free to contact our friendly, professional staff. They're always available to help! Stop by our S. Dove St. facility for a tour or reserve your storage unit online today! Good, basic service. Clean facility. Attentive help. Great customer service. In the office, Tammy totally helped us find what worked best for us. Good location too. Fantastic management with excellent service and Facilities, perfectly located next to the Eisenhower Metro communities with exceptional pricing. Seamless process from application to locking up my personal belongings. I had to find a storage last minute. They made it very easy and fast to finalize everything! Easiest transaction ever -- a mere 45 mins from the time I opened the website to start storage space selection process to the time the first items went into our new storage space (including drive time!!). Clean, well-lit facility, EASY access, great staff on site. Best deal for Storage! There is no one else in the area came close to the price I found. Niki is awesome, very friendly, explained everything and gave me the contact information for staff on and after hours. Excited to find this place. Also extremely accessible from 495. The place is Nice and Clean. Nikki you're the Best! Thank you for your Excellent customer service. Staff is great in helping you determine space you will need. Easy and smooth experience. Tammie and the phone booking rep helped me find a rate that turned out to be free fortune length of my rental (less than a month). I will use them again in the future if I need extra storage. The manager Nikki is the reason I'm still a customer here, along with a great and clean facility. She has been so helpful and friendly from the first interaction and I am grateful for her help when I need to shift my space around. She's wonderful! Quick and easy to rent, felt fully informed and valued at contracting stage. Convenient location, secure, climate controlled. Easy access. I have been a paying customer at this facility for the past 6 years. I have 2 storage units actually. I have never had a late payment. I am a middle aged professional that deals with people every day. Its my job. I say that because i know a thing or two about human interaction. I went to move out of my storage unit and I met someone in the office named Tammy. She was one of the most unprofessional and rude people that i have come across in a while. From telling me how i was going to move out and what equipment i could use and not use to actually telling me she was going to kick my helpers out if she saw anyone messing with a elevator door. Keep in mind my helpers have not even arrived yet. I actually had to leave before I said something to her that was unprofessional on my part. You would think that someone who did nothing but give the company money on time every month for 6 years that the workers in the building would be professional. I will never recommend this place to anyone I know Tammy- you ruined the reputation of this business. We have taken storage space for our overflow furniture for some years now and I find the facility very convenient. The building is clean, climate controlled and the storage units, while secure, are readily accessible. The staff are all very co-operative and it has been a pleasure using their storage space. I can thoroughly recommend them. Renters beware! Part of the rental contract states that, with notification, management may increase your monthly storage fee at will. Sure enough, within a couple months of renting a unit I was hit with the first rent hike ($9 a month). Okay...irritating but I let it go. A couple weeks ago I got notification the rent was jumping by 15%. Today I moved everything out. I get that this is a business and if units are in high demand that drives a higher price but it still smacks of greed. I was a good renter who never missed or had a late payment and feel that should count for something. Guess not. The good news is the rate hike forced me to get rid of some stuff I probably didn't need and now I get to keep a nice chunk of change each month. In fairness to the facility. it's very clean and secure with friendly staff and my stuff did just fine there. Just beware that if you're on a tight budget the upfront rental fee when you sign the contract won't last long and pretty soon you'll be paying more. The attendant was very friendly and checked in with me as I was getting ready to move my things into the storage unit. She made it very easy, and it was adorable. The location of this Extra Space location is wonderful. The customer service you will receive from the eployees is incredible and you will have every question answered and even have questions you didn't think of that are extremely important mentioned and answered. Cannot speak highly enough about the staff. There is no more pleasant experience than renting at this facility. It is clean and safe. The manager is so knowledgeable and caring. I do not know the last time that I spoke with anyone so pleasant. You will not find a better facility with better management than this one. It is totally worry free and they will support you 100%. You will not regret choosing extra space storage. Clean space, with friendly helpful customer service. Choose extra space storage for your storing needs. They really take care of you and your belongings. It is always very clean, and the building does not have any bugs, or funny odors etc. I actually look forward to going to my storage at extra space. Its one less thing to worry about. They are clean, helpful and best prices and your items are safe and secure! When you choose extra storage , you will be complete satisfied! The customer service was outstanding. It was quick but thorough. The location is ideal for what I need. The access to the unit and availability of carts and proximity of the parking lot to the elevators is ideal. The facility is very tidy. Very good facility and excellent local management but the corporation is greedy. One of the 2 elevators was out of order for months and the company tried to raise my rent by 28% (from $160 to $205) after only 4 months. I moved to a smaller unit. From reserving the unit on line to meeting and setting up the unit with the on-site staff it all was very easy and enjoyable. They made sure we saw the unit before finishing the paperwork. The unit was clean and no signs of water, pests, etc. July 2016 - The Assistant Store Manager at Dove Street Facility provided me with excellent customer service. She was very responsive to my inquiry about a new unit and provided follow-up and notification of available units meeting my requirements. Nicolette provided useful suggestions for picture and mirror boxes and offering to check immediately upon my request. Facility is extremely clean and very well lit. Sales people lived up to their promises...which units were available (no bait and switch), prices matched internet prices (this site won't let me disclose prices), prorating last months rent, availability of carts, and busy times. Facility is located in out-of-way place, but I went there on early evenings and on weekends when several other customers were there. I would definitely rent here again. If I ever need a storage unit again I will diffidently be back. The facility was clean quite and the hours to access the unit was great. The staff was great and friendly. Jackie the manager was a pleasure to deal with. I hope I will be back soon. The staff at the Extra Space Storage facility on Dove were amazing. They were extremely helfpul with determining a size for my storage space and in helping me get the best deal possible for my needs. The facility is very clean, well-maintenanced, and easy to access. I highly recommend them!! I searched hard. This facility was by far the lowest priced, while being exceptionally well organized, run professionally, and spotless. I highly recommend it. I rely on my storage unit as an extension of my business. The facility is clean, well lit, well maintained, and I feel safe coming here. Overall it's a great value, and I am always impressed with the care that Raul and the staff give to every detail. There have been valuable upgrades made to the access door, the elevators, and the flooring while I have been a client, and at the same time, it's important to note that my rent did NOT go up a whole lot as a result. It's weird to say that I look forward to coming to my storage unit, but I do. I don't have a garage, and this unit is critical to managing my sample inventory. There's even plenty of space in the dumpster for all the cardboard I generate. I'm able to get access at unusual hours, and the location really can't be beat...easy on and off of 495. The staff is professional and capable, the place is well maintained and clean, and the rent I pay is a really good value, especially considering the location. I highly recommend this facility. I typically don't write reviews, but this is a situation where I feel I must write a review. I was a customer for over 10 years, and I never once worried about my valuables, even after an earthquake! The environment in the facility is so pristine, that every time I visited my unit, it was as if it was stored in a perfectly preserved time capsule. The staff is some of the most helpful, friendly, and knowledgable I have encountered in any customer service environment. I would recommend this storage facility to anyone without hesitation!! Thanks! Even the earthquake was easy to take while being a client of this facility. This is a prime operation and the staff is wonderful and able to keep the ship operating when all around them kaos is rampent. very well informed and able to help with suggestions when asked. THANK YOU! Agents were very helpful and flexible. Facility is clean and easily accessible. I chose Extra Storage because of a positive experience in St. Pete, Fl where I also have storage space rented. I'm very pleased to review Extra Space Storage in Alexandria. The facility was clean and accesible, and very accommodating of the big moving crew that loaded our stuff into the storage unit. The location of the facility is extremely convenient--right off a main thoroughfare in the city. Even during the hottest week in summer the facility was only mildly warm. Thanks! The facility is always neat and the security system works well. I feel safe leaving items out while I take a cartload to my car because I know nothing will go missing. The staff are easy to find if I need help. I researched 5 facilities & found this one to be the cleanest, most secure, and by far the friendliest in the area. It is extremely well-managed and pleasant. My unit serves as a warehouse for my business, so I am there 2-3 times per week and sometimes even at night. I look forward to coming here! The staff are consumate professionals & the clientele are generally clean cut. My experience here has been wonderful! Nice facility, great service, convenient access, and plenty of room in the storage space we rented. I find your prices are getting too high for the small space I rent. It's the smallest unit on the premises and the rates continue to increase every few months. I really do not want to have to move my stored items to a competitor, but if rates continue to increaes, I can get a mroe reasonable rate elsewhere. This facility has been pretty good. Customer service & cleanliness is top-notch. My only complaint is one of the two elevators has been "temporarily out of service" for over 3 months now! This makes access a bit inconvenient and slow if the place is busy. Would be nice if this was remedied faster. This facility is located close to me and is therefore convenient. It has adequate facilities for helping to move items around. Although there are times when it is inaccessible, most of the time I can gain access. The location is in a secluded area and is risky to be at alone in the evenings. Perfect location just outside historic Old Town Alexandria...spotless facility (including bathroom), extremely friendly and professional staff. Have recommended to many of my real estate clients!